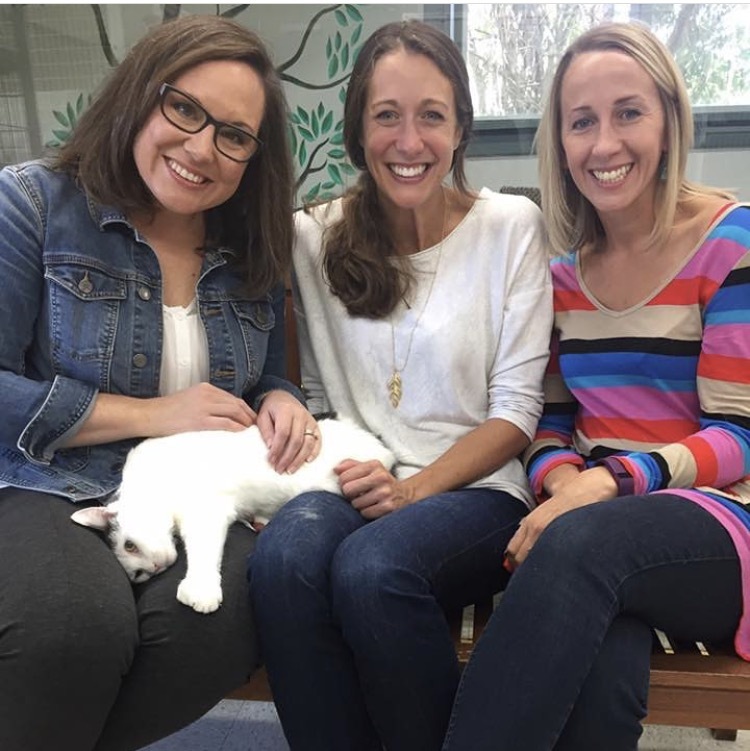 rANDI, kATIE, sARA & pENNY lANE ON aDOPTION dAY 2016. The staff of the Community Foundation are animal lovers, period. When the idea of adopting an "office cat" was batted around and all of the cat-caring logistics sorted out, we said yes! Randi, Sara and Katie visited our friends at the Chemung County Humane Society and SPCA where we spotted our poly-dactyl fur ball. We fell in love with Penny Lane immediately as she purred and melted into our arms. We set off to make Ms. Penny Lane an official staff member of the Community Foundation by designating her our Chief Philanthropaw Officer with her very own office and business card. Penny Lane is affectionately known as the mascot for all Community Foundation youth philanthropy programming. Penny routinely shouts out the great things youth are doing in and for our community on her Instagram page. You can follow her @philanthrocat.